The Contemporary Series provides American made quality at an exceptional value. The Design features our modern, straight-line leg rack with a comfortable paddle shaped armpad. Constructed with mortise & tenon joinery is glued and reinforced with steel pins. Legs are riveted together for durability and strength. The Contemporary Series is available in four Low-VOC finishes and a wide array of fabric styles and colors. Made in the USA using American Beech Hardwoods. 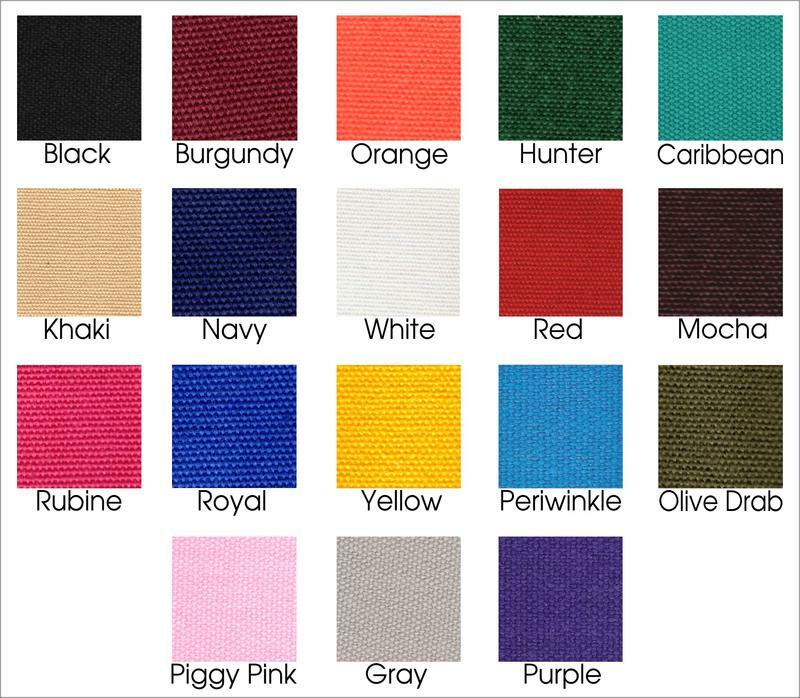 14 ounce cotton canvas fabric covers are finished with color-fast dies. This chair delivers the tradition of 19th-century craftsmanship to the 21st-century casual furniture market. Special features include rust-resistant, gold-toned, zinc-plated hardware and double topcoats of hand-dipped clear varnish or gloss enamel finish. This chair offers a 3-year limited warranty covering all manufacturing defects. It's available in your choice of frame finish color and canvas color. The chair folds compactly for easy packing and storage. Proudly made in the USA. A 120+ year-old tradition, the original Gold Medal design received the coveted gold medal for "Product Excellence in Casual Furniture" during the 1892 Chicago World's Fair. Since then, the Gold Medal name has always been attached to this line of top-quality American-designed canvas furniture. TLT bought the Gold Medal plant and has carried on the Gold Medal tradition, continuing to produce outstanding quality director's chairs. Assembly: To install the seat and back on your directors chair frame, please open up your chair frame approximately half way, so to allow the fabric to fit loosely onto the frame and then open up the chair once all fabric portions are applied. For additional information please consult the included assembly instructions inside the box. Care: Avoid leaving the chair or canvas outdoors for long periods of time. Extended exposure to the elements can fade the cotton canvas seat and back as well as effect the appearance fo your chair frame. If using outdoor it is best to bring them inside after use. This will greatly increase the longevity of your chairs. Shipping Service: We do offer upgraded UPS shipping services if items are needed quickly. Normal UPS delivery times vary depending on where you are located and can take 1-7 business days. Due to the shipping dimensions of this item, UPS considers this item an "OVERSIZED" package. The billable weight is determined by the dimensional weight as opposed to the actual weight. Shipping offered to the US only. This product includes a 3-year limited manufacturer's warranty on the chair frame and a 30 day limited warranty on the canvas seat and canvas seat back. 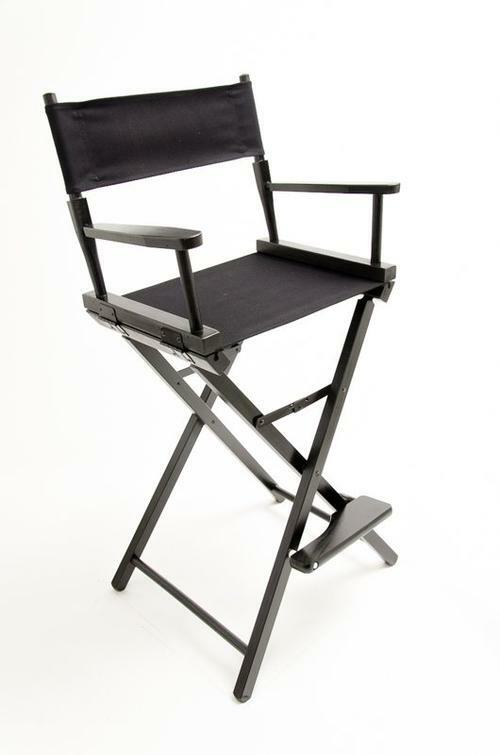 If you have a warranty issue please contact the manufacturer, TLT Gold Medal Chairs at 931.739.6300. Carton: 7" x 21" x 39"
This product ships in it's own box with canvas. This package ships as an oversized package.